Did you just mistakenly delete important files from your iPhone? Don’t remember your iTunes password? If you are in this situation, do not panic because we got you covered. As our smartphones go everywhere with us they are bound to hold much of our personal data on them. Even though backups are created for all of it, one wrong tap and it can all be gone. Especially, if you’re bad at remembering passwords. In this post you can learn how to restore iPhone without iTunes and even without passcodes. Your iCloud backs up your information which you can restore in case it has been lost or if you’re setting up a new iOS device. Step 1. Make sure you have recent backups to restore information from. 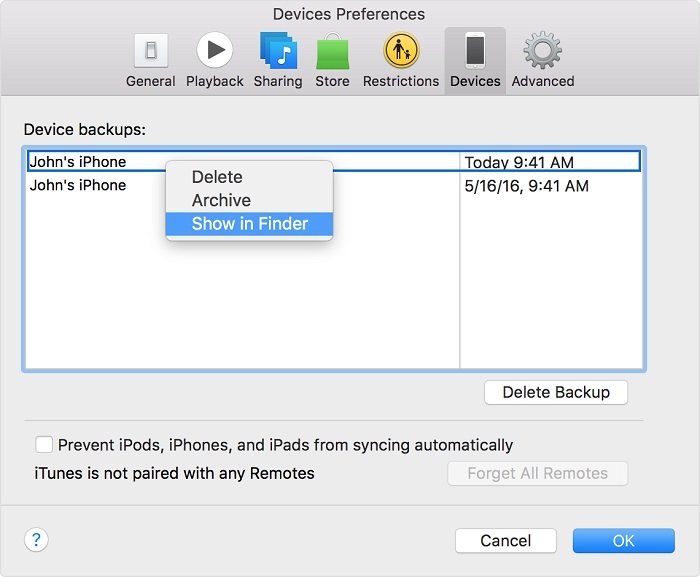 Go to setting> (tap on your name)>iCloud> storage> manage storage and then select a device mentioned under backups to view the date and size of its newest backup. Step 2. Go to setting> general> reset and select “erase all content and settings”. Step 3. Now go to your apps and data screen and tap “restore from iCloud backup”, after that log into your iCloud account. Step 4. Lastly, go onto “choose backup” and chose a backup in iCloud from the list given. Step 1. Switch on your device. Step 2. 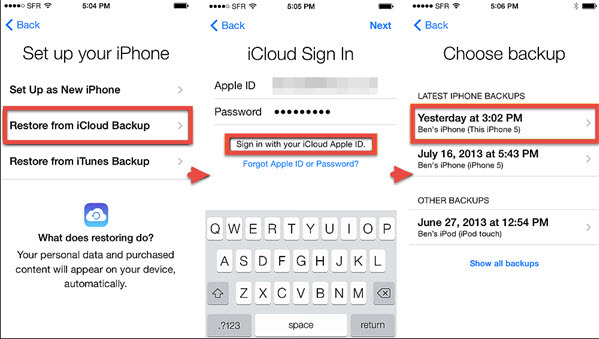 On your apps and data screen, tap “restore from iCloud backup” and then log into your iCloud. Step 3. 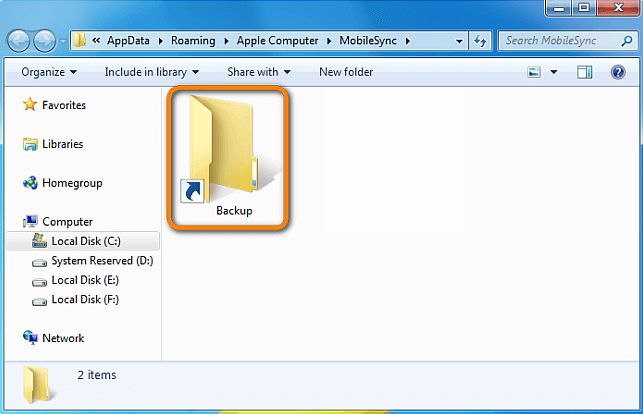 Go onto “choose backup” and choose a backup in iCloud from the list given. iMyFone TunesMate iPhone Transfer is all you need to know about if you hate using iTunes. It is the best alternative for it. 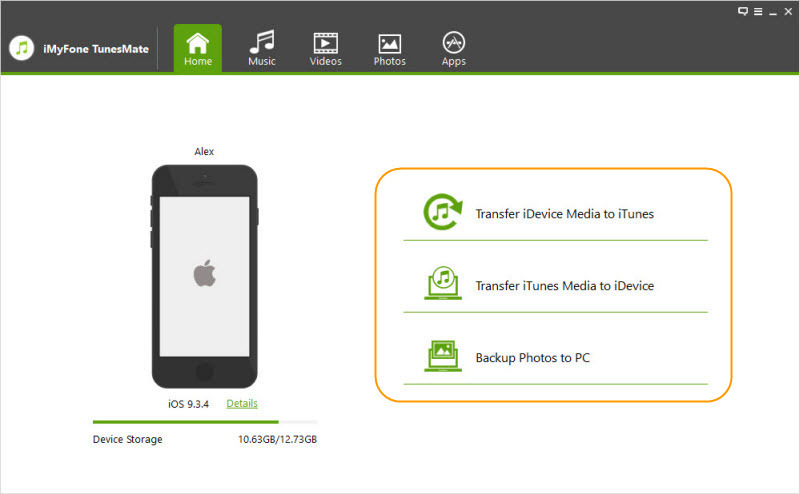 It is the most efficient way to move, backup and manage all your music, photos and videos on your iPhone, iPad or iPod Touch. By using TunesMate you can transfer your iTunes Library to any iDevice without any sort of limitations. You can transfer your iTunes library to your iPhone without iTunes password. There is no limit to sync and you can transfer your files back and forth your iTunes library and iPhone. There is no chance of you losing your data during the transfer. It detects duplication for you and prevents doubling of files. Step 1. Download and install iMyFoneTunesmate on your computer. Step 3. Select “transfer iTunes media to idevice” from the home interface. 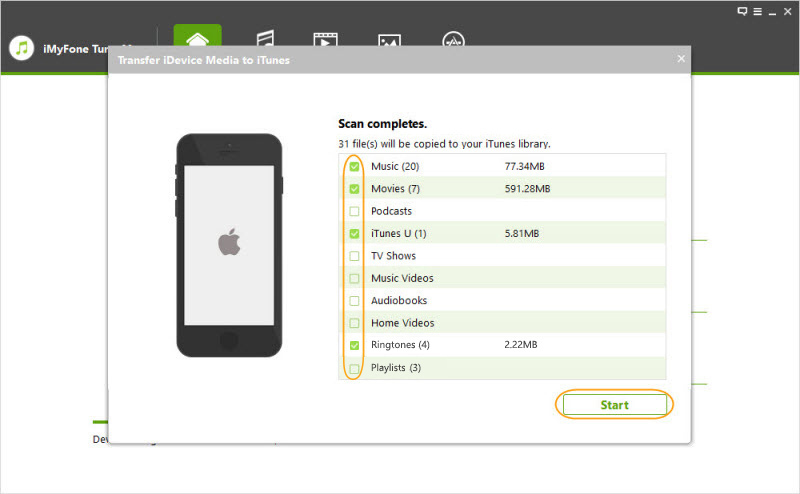 TunesMate will automatically scan all the media files present in your iTunes library and display them in a list. Step 4. All your media files will appear as “checked”. You may uncheck the files you don’t wish to transfer. Lastly click “transfer” button to initiate the process and click “OK” to finish it. 1. Replace USERNAME with your account name. 2. Windows systems consider application data and their contents as “hidden”. In order to see your documents you need to enable the “show hidden files” feature within your windows explorer. Step 2. Type ~/Library/Application Support/MobileSync/Backup/ in the search bar.